Stylo: caught in a Time Warp? Eddy Grant is hopping on a legal avenue, it seems. The reggae star is accusing the virtual group Gorillaz, the brainchild of Damon Albarn and Jamie Hewlett, with ripping off his 1983 song, Time Warp, and using the keyboard section as the basis for their recent single, Stylo. "I am outraged that the Gorillaz have infringed the copyright of my song Time Warp, claiming their song Stylo to be an original composition," said Grant. "My song sits almost note to note with their release and is a blatant rip-off. "Time Warp is a very popular song and has been a staple of the DJ scene for many years, and I feel total disrespect from Gorilliaz and their management company, especially as they are an established act." Speaking to the NME, Grant intimated the matter wasn't just business, but personal: "Damon Albarn knows in his heart of hearts - it's unfortunate that we can't get into people's hearts - he knows that this is a song that he's loved, in his club days…I don't know the guy…but he knows this is a song he loves." 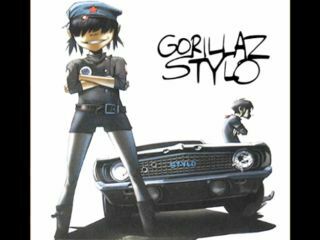 Interestingly, both Grant and Gorillaz/Albarn share the same music publishing company, EMI, and the reggae artist was incensed that the suits didn't bring the issue to his attention before Stylo's release. "It has to go back to the beginning, where it should have started, with a phone call from Damon to my publisher," said Grant. "My publisher would have contacted me - the publisher being, of course, the same EMI that looks after his [music]. "In a properly configured relationship I would have gotten a call from EMI to say, 'Damon wants to use Time Warp,'" he continued. "'What arrangement can you guys come to? Would you claim 100 percent, would you claim 60 percent, or 70 percent of whatever it is?'" According to Grant, that phone call never came.